The cool, windblown slopes of Campania's bleak mountains host some of the most spectacular vineyards in Italy, planted to varietals that have been cultivated since the time of the ancient Greeks. 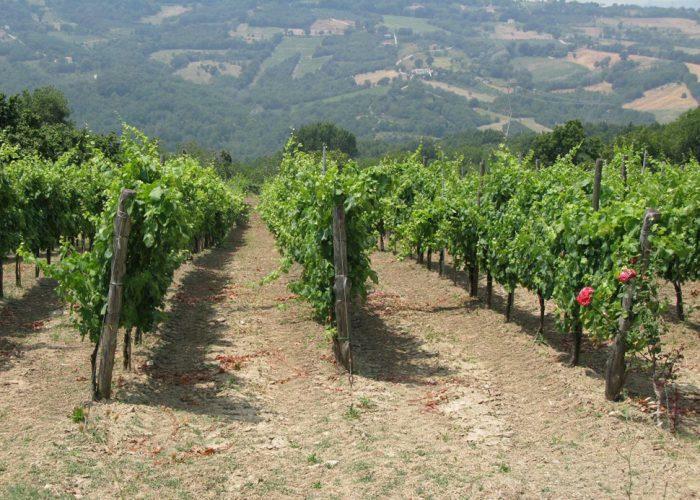 The estate of Clelia Romano is from vineyards around the Lapio village, northeast of Avellino, the "grand cru" growing area for the white varietal Fiano. This wine, vinified entirely in stainless steel, is pure class and elegance, with peach and melon aromatics and a vibrant acidity that gives it the potential to evolve over a decade into a golden-hued and mineral wine that echoes the qualities of grand cru Chablis. Wine Advocate 92 "Simply put, the 2011 Fiano di Avellino is one of the greatest Italian whites in its price category. Smoke, ash, incense and white stone fruits are all woven together in a fabric of extreme class, elegance and polish. Bright, saline notes reappear on the impeccably polished finish.